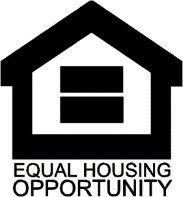 Funded through the Minnesota Housing Finance Agency (MHFA), these are income based deferred loans for improvements for basic, necessary housing repair to owner occupied properties. There is no interest or monthly payment until such a time you sell, transfer or move from the property or until after the 15th year when the deferred loan is forgiven. Maximum loan term is 15 years for properties taxes as real property and 10 years for mobile/manufactured homes taxed as personal property located in a mobile home park. All loans are forgiven if the borrower does not sell, transfer title or cease to occupy the property during the loan term. Basic improvements to the livability, accessibility and energy efficiency, as well as addressing lead paint hazards are eligible. Examples of repairs that may be eligible are roofing, foundations, siding, windows, heating units, electrical, plumbing, health and safety items. A property inspection is done by the Housing Inspector and a lead test and a radon test are done to determine if lead and radon exist in the home. From this inspection and test results, it is determined what improvements can/will be done.